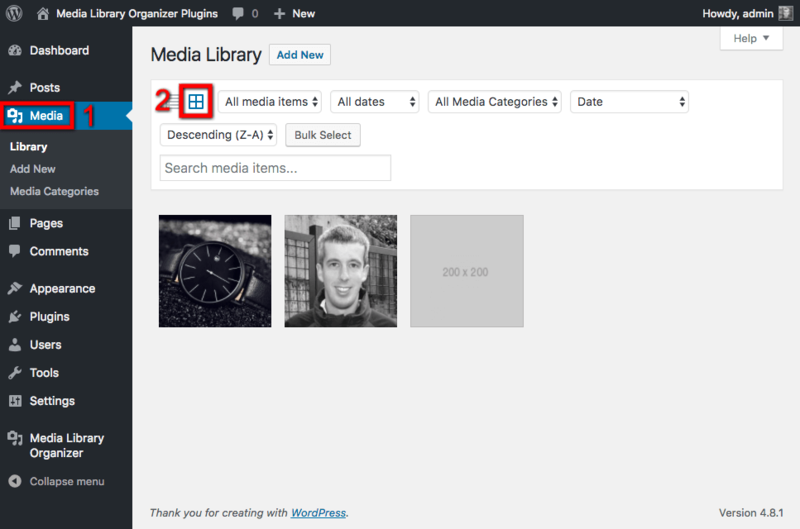 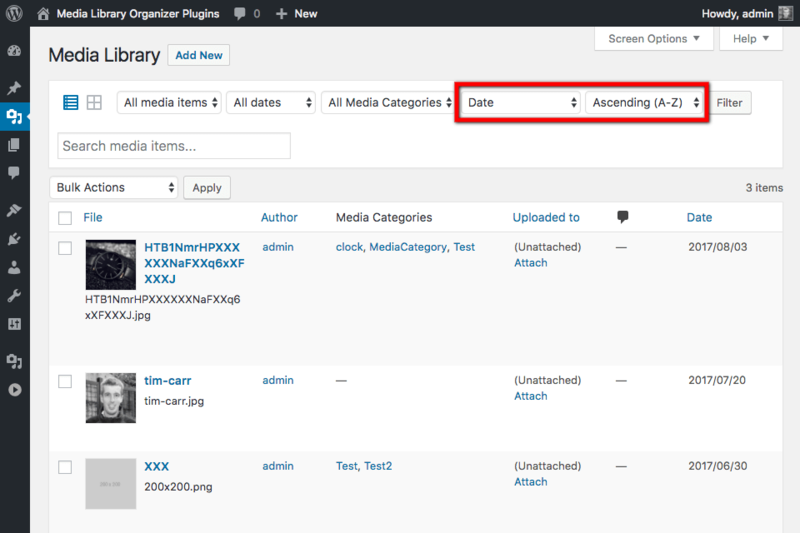 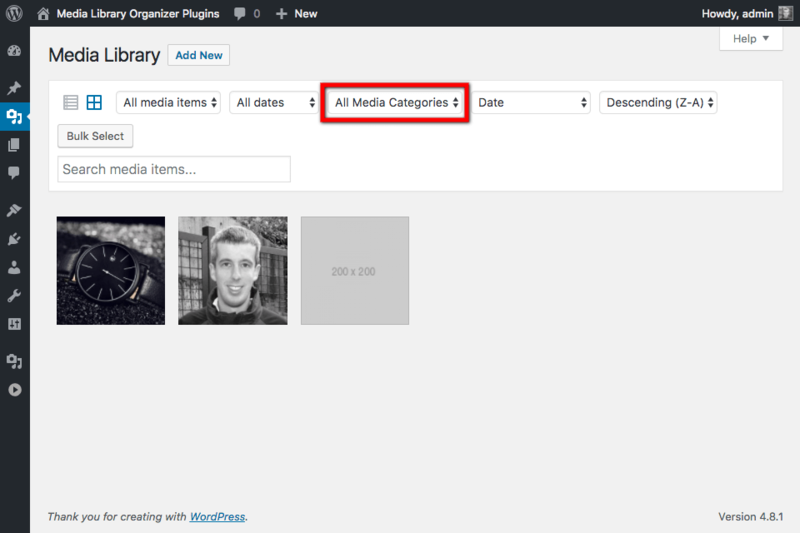 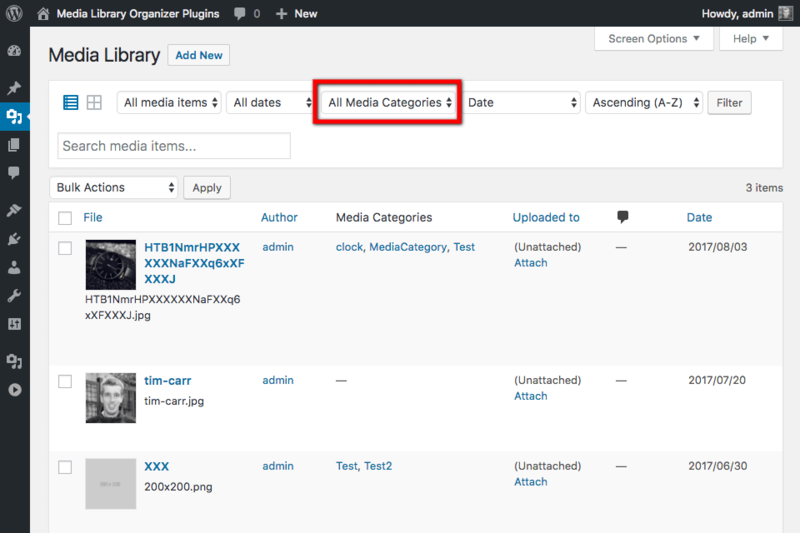 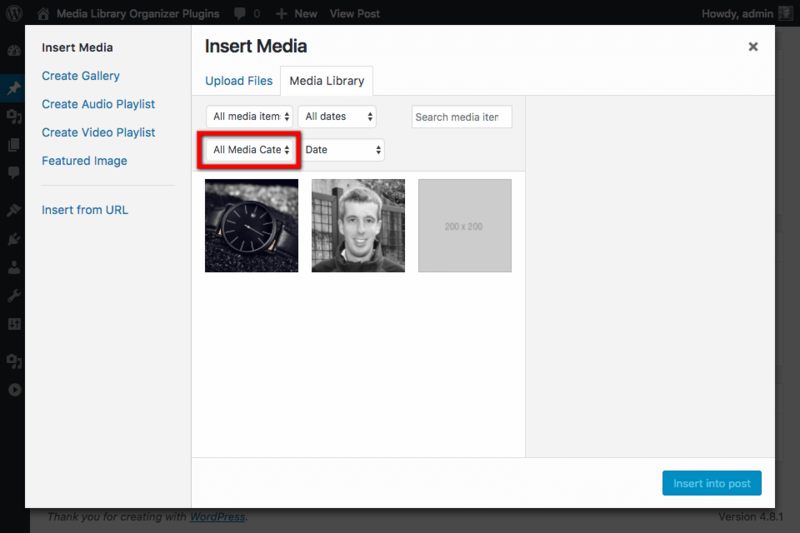 Media can be filtered and sorted in any of WordPress’ Media views. 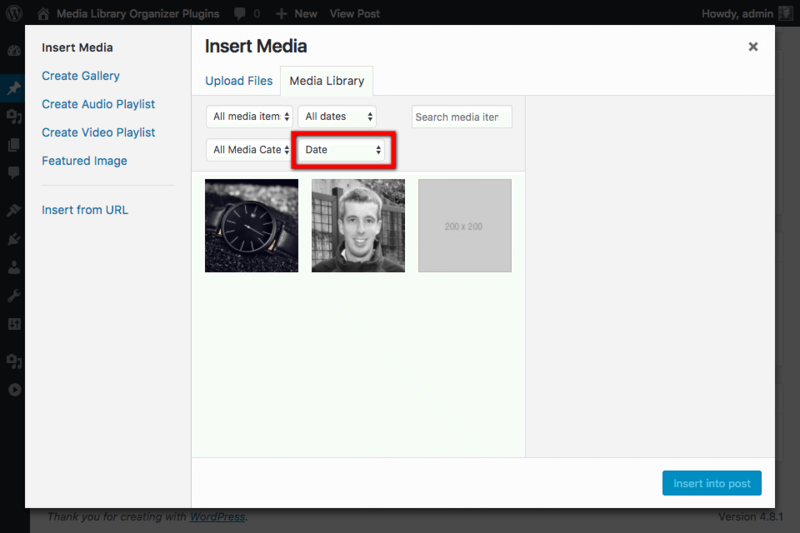 All Media assigned to the chosen Media Category will then be displayed. 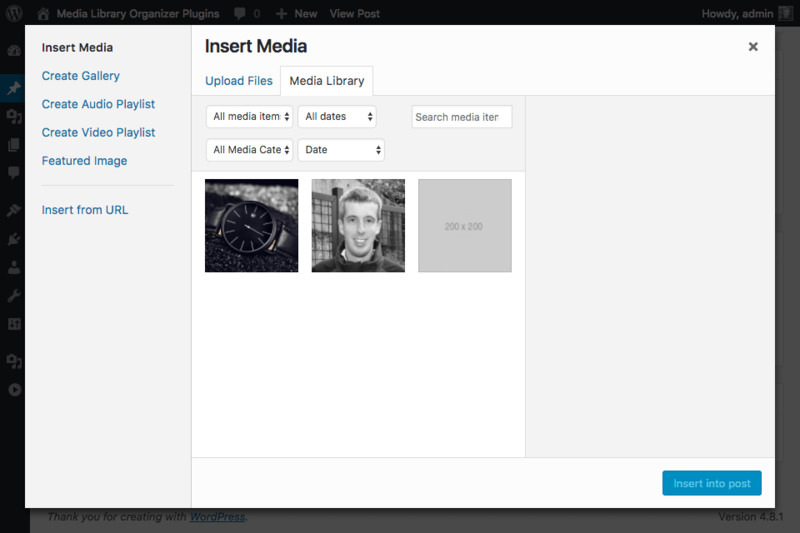 Media will then be displayed, sorted by the chosen option, either ascending or descending (e.g. 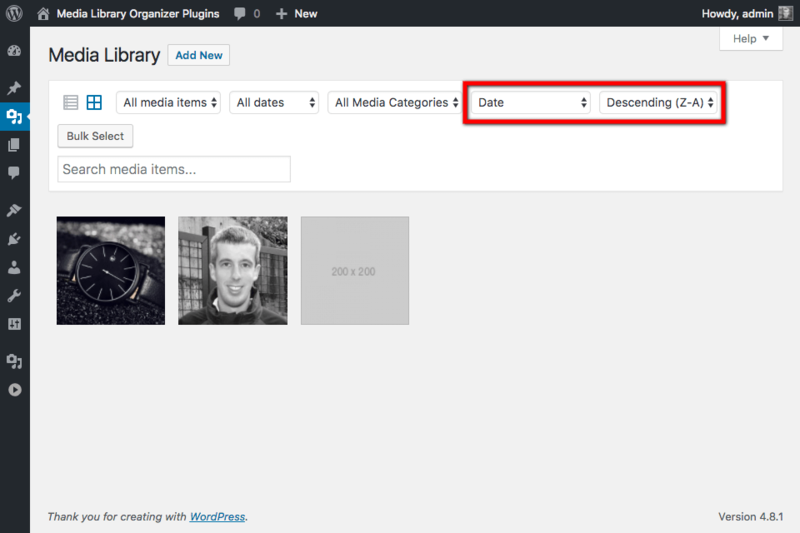 newest to oldest date, or A-Z by title).